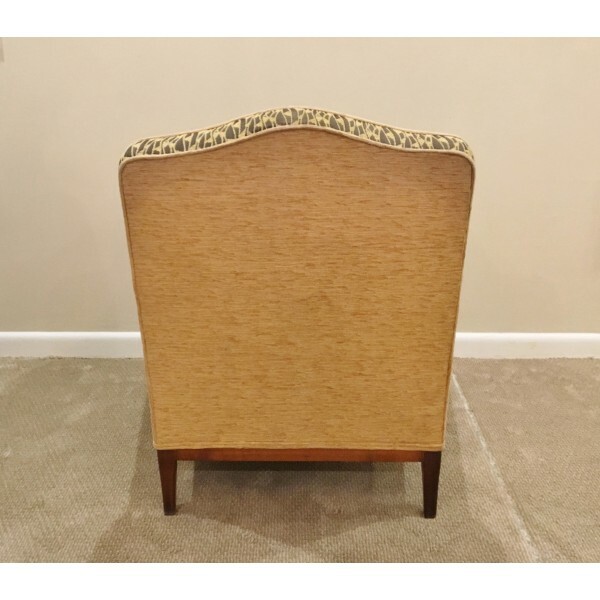 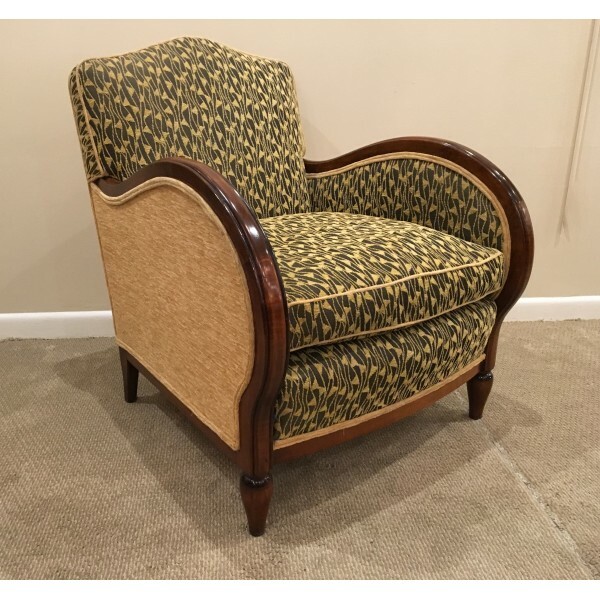 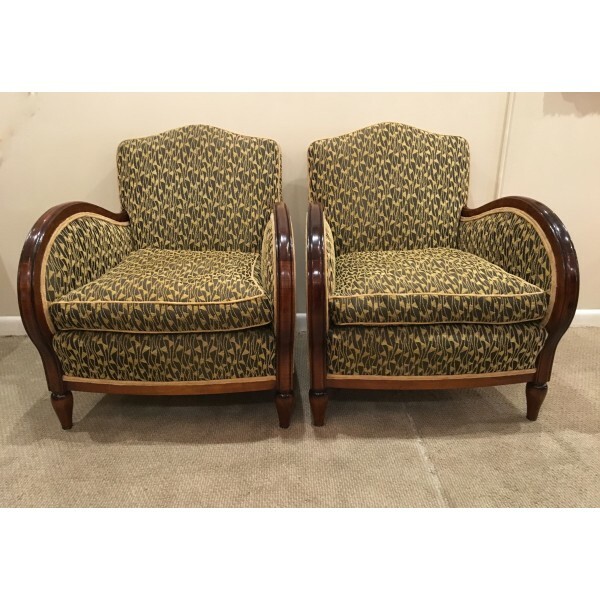 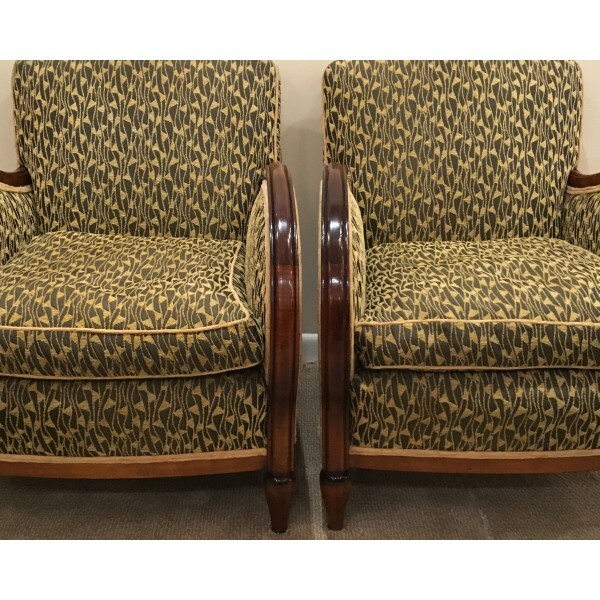 Pair French bergere chairs , Art Deco style arms with two tone upholstery and loose cushion . 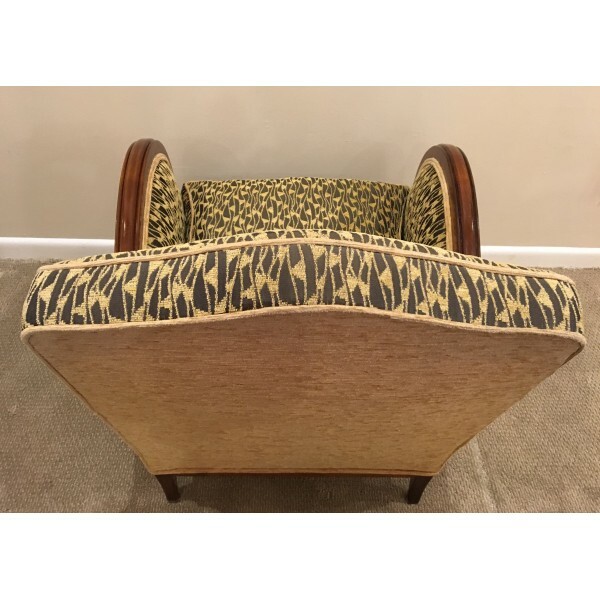 circa 1930's wear consistent with age but in very good condition. 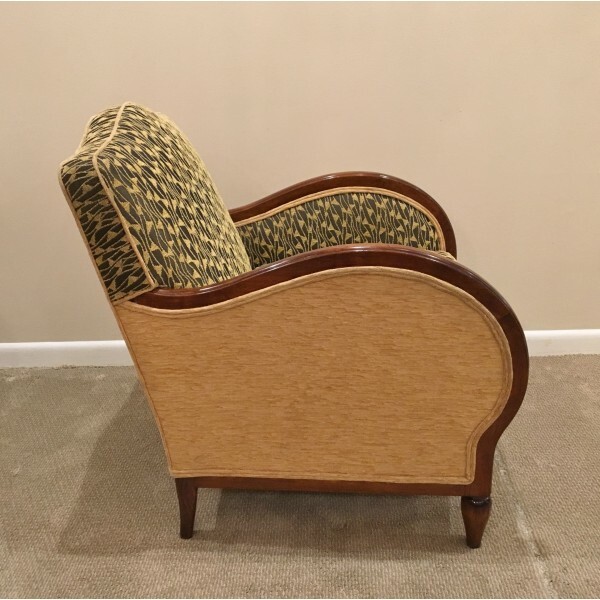 circa 1930's Origin France Dimensions height 34in. 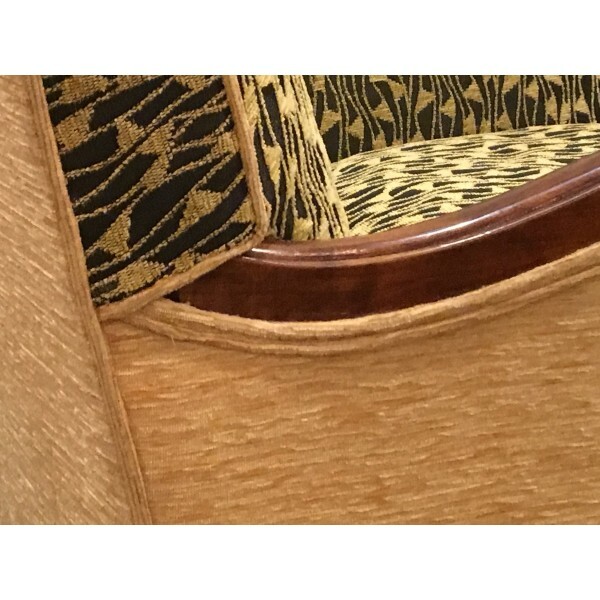 width 27in. 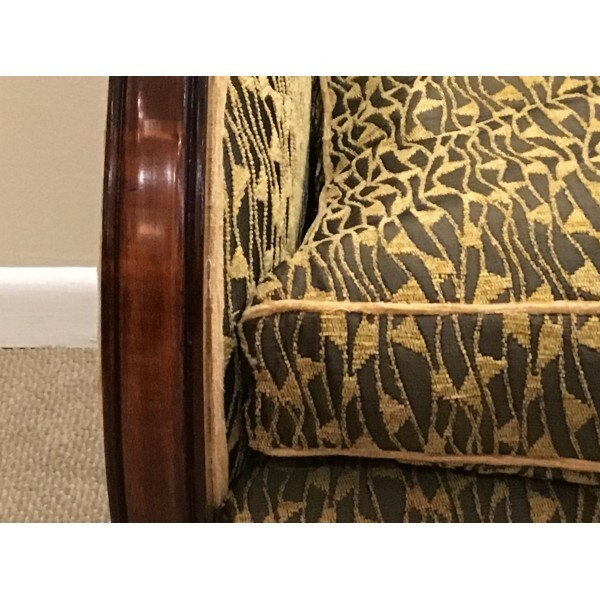 Depth 30in.